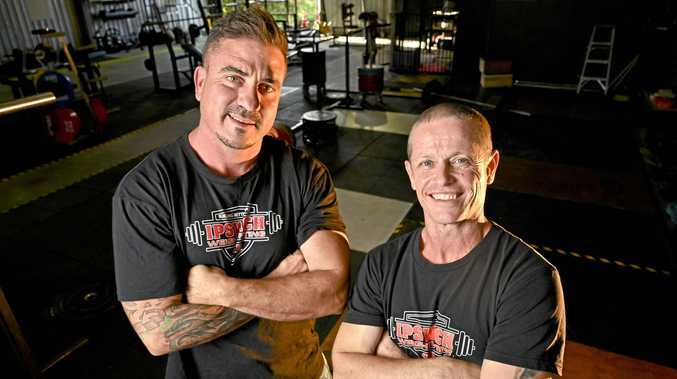 AN Ipswich tourism business believe they are well equipped to take advantage of a "massive wave of change” that will hit south east Queensland within the next five years. Floating Images Hot Air Balloon Flights are urging the rest of the city to jump on board. In Ipswich during the 2017/18 financial year, domestic overnight stays were up 39 per cent, day trips jumped 25 per cent and international visitors increased by eight per cent. The latest local figures are set to be released imminently and more growth in the tourism sector is expected. Floating Images, now in its 18th year, is run by Graeme Day and his wife Ruth and currently fly over 1000 passengers a year with four flights a week on average. They were just one of a number of local businesses recognised as a 2019 Best of Queensland Experience by Tourism and Events Queensland (TEQ) this past week. Floating Images received perfect marks when criteria such as customer reviews and social media presence were taken into account. The ranking means they will receive priority across all TEQ marketing activity. "It's been in the process for two years,” Graeme said. 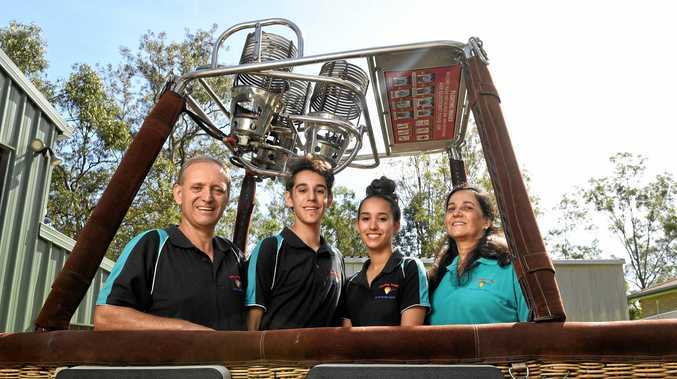 Floating Images is Brisbane's closest hot air balloon company since similar operations shut down in 2012 and companies no longer run in the Lockyer Valley and Caboolture, putting them in prime position 30 minutes from the capital city. The new ranking is a boost in their efforts to put Ipswich "on the map” and they have spent 17 years making in-roads in the international market. They were featured on the in-flight video for all international flights arriving into Brisbane for a few years in the mid-2000s, showcasing the region to visitors from all over the world. It was worth "millions of dollars” in publicity. Their major customer base comes from within a 400km radius but nearby developments will bring more overseas visitors in coming years. These include $3.6 billion resort development Queen's Wharf in Brisbane, which is set to open in 2022, and Brisbane Airport's second runway should be completed next year. "Ipswich is the hub of the south east Queensland. We saw it way back then (when the business started),” Graeme said. "There is a massive wave of change coming into south east Queensland in the next three to four years and a lot of operators aren't even prepared for what's going to happen. "There is a huge amount of tourists coming into south east Queensland and Australia. I've been saying to schools and principals from grades eight to 12, they should be thinking (about a career in tourism)”. The business spent two weeks in China in early March, meeting with wholesalers and inbound operators. A prominent Chinese social media influencer and Chinese TV and radio programs took a ride with them over Ipswich earlier this year, getting the word out in the nation of more than one billion people. How can Ipswich benefit from this impending tourism boom? Mrs Tyssen-Day said the responsibility fell on both operators and Ipswich City Council. "(They need to be) proactive in promoting what the destination has that is different,” Ruth said. "Every region has food, beverage and retail outlets. They have to start promoting the unique selling propositions of the region. What do you market as tourism attributes? That's what needs to be looked at to make Ipswich stand out. MORE than 20 Ipswich attractions have been branded with a gold standard by Tourism and Events Queensland. A number of local businesses have been recognised as a 2019 Best of Queensland Experience, giving them priority across all TEQ marketing and activity. They were judged on customer reviews, social media presence, accreditation and membership of their regional tourism organisation. The full list of Ipswich operators includes: Best Western Ipswich, Brothers Leagues Club, Ipswich Floating Images Hot Air Balloon Flights, Fourthchild Cafe Restaurant and Lounge Bar, Ghost Tours, Homage, Incinerator Theatre, Indian Tadka, Ipswich Art Gallery, Ipswich Civic Centre, Ipswich Nature Centre, Pterodactyl Helicopters, Pumpyard Bar and Brewery, Queensland Pioneer Steam Railway, Quest Ipswich, Seraphim Escape Rooms, Spicers Hidden Vale, Springfield Lakes Hotel, Summer Land Camels, The Workshops Rail Museum, Track Day Club, V8 Race Experience, Willowbank MX and Woodlands of Marburg. TEQ are aiming through this initiative to create a stronger reputation for Queensland as a tourism destination for international tourists.